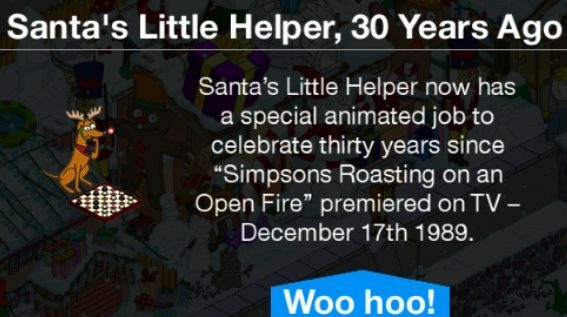 This entry was posted in Game News and tagged free santas little helper, greyhound game task, Santas little helper task, Simpsons 30 years, Simpsons Roasting on an Open Fire, Tapped Out Tips and Tricks, The Simpsons Tapped Out, TSTO Addicts, TSTO Santas Little helper, TSTO Tips and Tricks. Bookmark the permalink. So I paid for SLH years ago, I’ve now got the greyhound sleigh and I’ve completed all the Xmas jobs (including drunk Mrs Clause). Now what? The SLH job has not unlocked??? Do we know when that will happen or is this just another glitch? What’s that,Lassie? Timmy fell down the well?? Again??? Very cool! I just logged into my game and saw this, I was like wha? Oh well I won’t say no to free content, particularly at the premium cost this character was at! Was it just me, when I was awarded SLH it went immediately went to his task list, then when I exited his task list is when the announcement that I got the character popped up. So glad to finally have him and can’t wait to see the task that goes with the sleigh. I just wish the Snow Globe was a 4 or 8 hour rather than a mere two hour assignment. And didn’t Patric already put forth a complete Calendar for the entire 4 week Event that details when the greyhound will become available? His 8 hour task includes the checkerboard. I just got him today. But is there a quest for him you usually get when you get a new character? Because I haven’t got one yet. Even though I spent the full 150 donuts on him, I am really happy that he has a visual task outside of the Snow Globe and possibly another one later in the event. Now we just need Snowball II to have some tasks. Best Christmas gift….. ever, finally something nice this Christmas update, thanks EA! The Simpsons are now all together ! Now it’s time for Krusty’s little buddy to have an animated task! 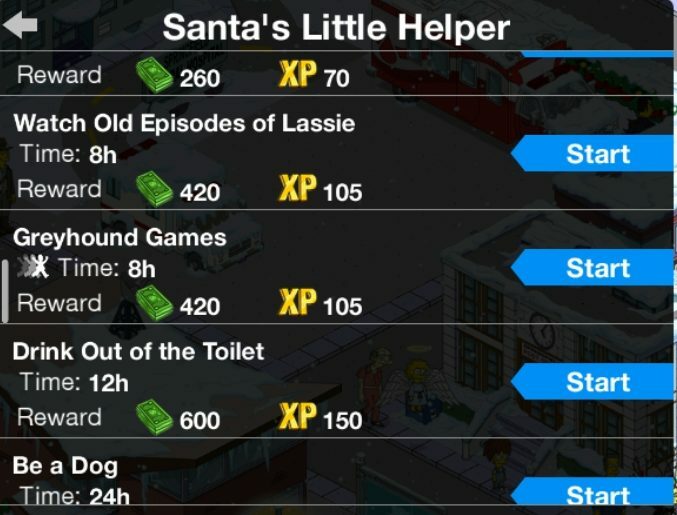 I don’t want to hear another complaint about this event because getting Santa’s Little Helper this morning was the best gift of all. I have an unusable task that requires a greyhound sleigh for SLH? Where do I get that? His sleigh appears in the opening for christmas season 4. Can’t wait! 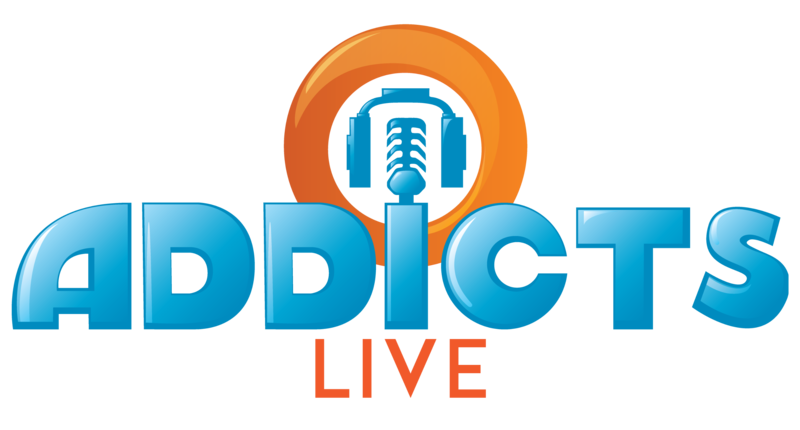 Correction, season 30. Watched both episodes on the same day. Woops. It says he’ll have a 12 hour animated task with a greyhound sleigh. What is that and where can I get it? 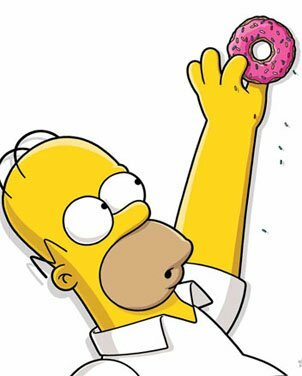 Uh oh..do I need to save my donuts?? Finally! I’m so happy that he’s finally got an outdoor task! Santa’s Little Helper 30 29 Years Ago. EA still makes off-by-one errors. Haha I was almost going to buy him before the event. 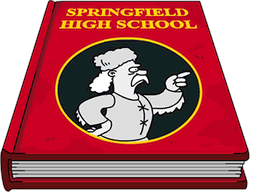 Although I thought he was a npc I figured it wouldn’t be the simpsons family with out him. Gladly to my surprise I get him for free and he has tasks(premium tasks at that)! Very happy at that.